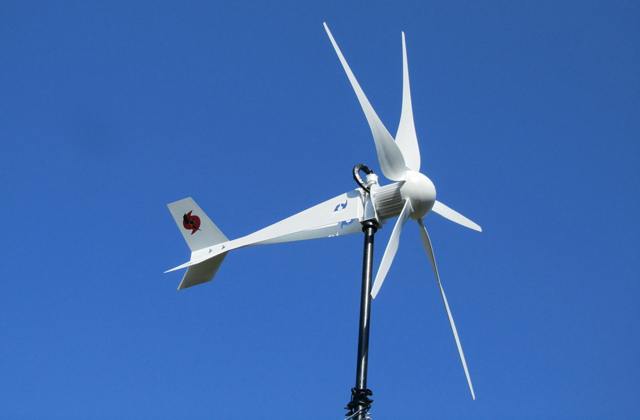 Polycarbonate is a much more rugged material and its weatherproof properties are simply superb. It doesn't crack nor rust or fade under the effects of heat, sunlight, snow, and rain. 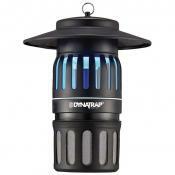 The product can also be used simply as a decorative lantern or as an additional security lighting. The power cable is a bit short. 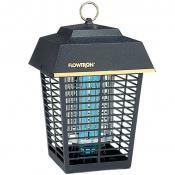 The Flowtron BK-40D could definitely be described as the best outdoor bug zapper if for no other reason than the model's durable and rugged housing. The weather outside won't always be forgiving, but it doesn't concern the zapper from Flowtron as it will be able to handle it all. 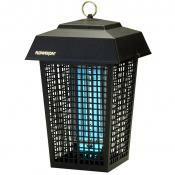 The wire chain will allow you to hang this bug zapper and save a little bit of that precious indoor space. Two replacement UV lightbulbs come with the package. They are easy to install, provided you follow the straightforward and comprehensive instruction manual. The insect container is relatively small. 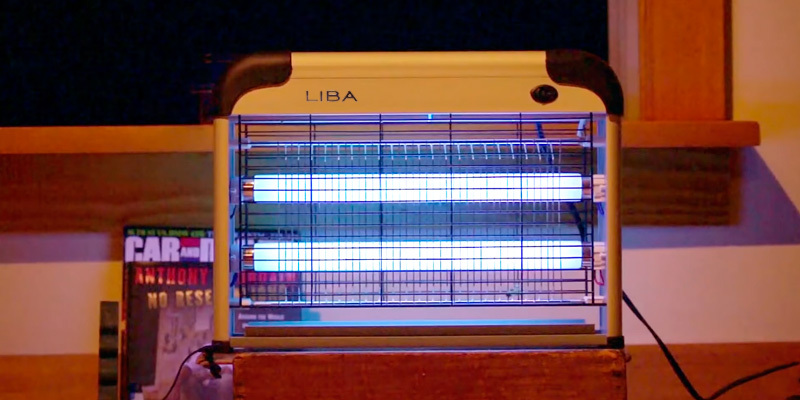 The LiBa 45987 doesn't look particularly cool. But this book definitely isn't supposed to be judged by its cover. For the most part, the device is very effective and really practical. What's more, it is completely safe for children and pets. The model spreads light in all 4 directions, attracting every insect in the nearby vicinity and immediately executing them. 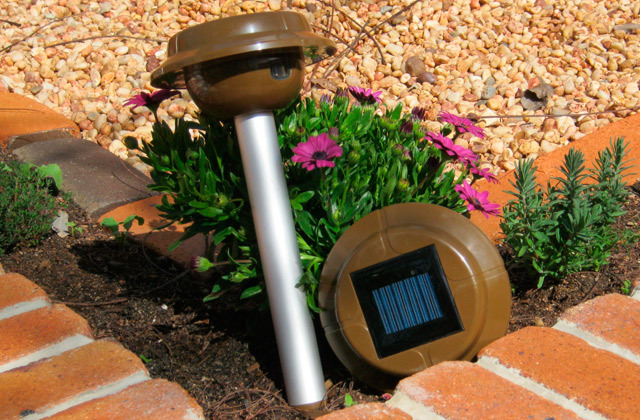 It comes equipped with 2 retractable rings, meaning that you can hang the zapper high-up to keep it out of children and pets' reach. Alternatively, you can place it in a free-standing position. Changing the bulbs is a bit difficult. The Hoont H938 is good for you but really not good for flying insects. This thing will draw their attention and neutralize them in a moment's notice. You can put it anywhere you want and enjoy a bug-free environment. Plus, the device is really easy to maintain. 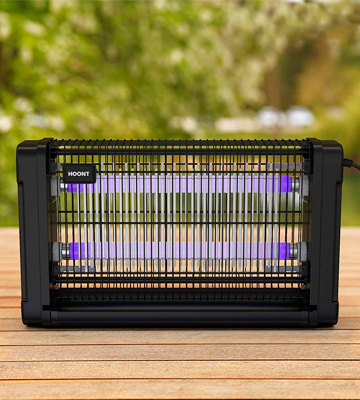 Upon choosing the Black Flag outdoor bug zapper, you will get a cost-effective device that uses 30 % less energy and provides 20 % more bulb life than its counterparts. Some insect debris may fall from the tray. 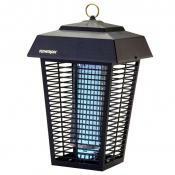 This electric fly killer is perfect for those who often holds parties on the outdoor patio throughout summer. 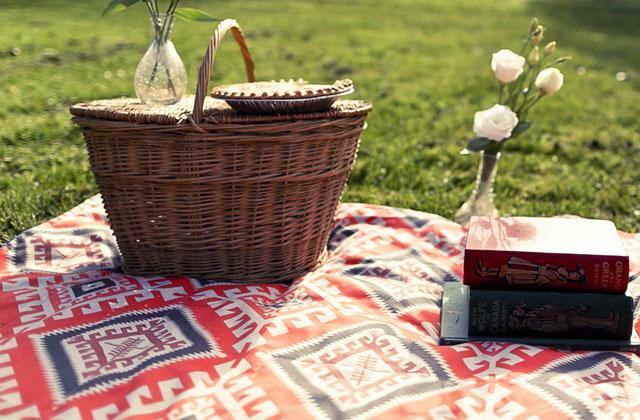 Irritating flying insects will not ruin your party anymore. The built-in hook is made of rustproof metal and thus won’t be affected by the elements. Leave the zapper outside as long as you want, the device won’t be damaged at all. The zapper works on a rechargeable battery, which makes it completely wireless. The lamp isn't necessarily powerful. The Stinger BKC90 may not be the most powerful among the other zappers but it’s certainly efficient and one of the few models that’ll be useful out in the wild. Perfect choice for happy campers. The biggest selling point of the particular model from Flowtron that differentiates it from the majority of zappers on the market is the housing's material. Where most manufacturers rely on plastic, the people behind this product decided to go with polycarbonate instead. And, sure, the material in question is generally a bit more expensive than ABS plastic, but it is also much more rugged and its weatherproof properties are simply superb. 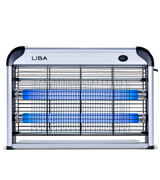 It doesn't crack nor does it rust or fade under the effects of heat, sunlight, snow, and rain, so the bug zapper will be able to faithfully serve you for years to come. 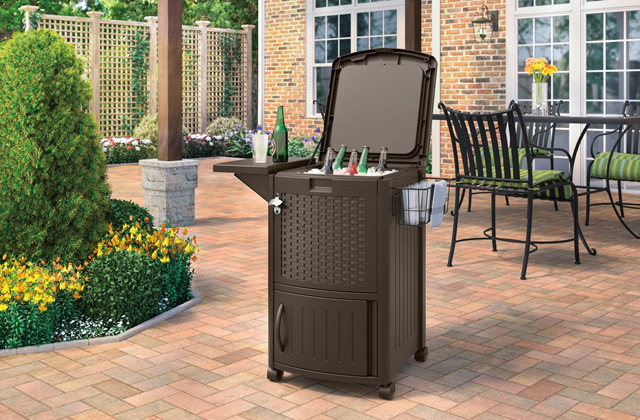 Materials aside, there's also the coverage area that makes this zapper such an attractive choice for a variety of customers. Being able to cover up to 1 acre of property, the model will prove to be a great solution for people with a large backyard. In terms of performance, it relies on the same working principle that employs the services of UV light and an electrified grid. And when it comes to maintenance, aside from the aforementioned durability of the housing, there's also the fact that the light bulb is really easy to replace without any additional tools. 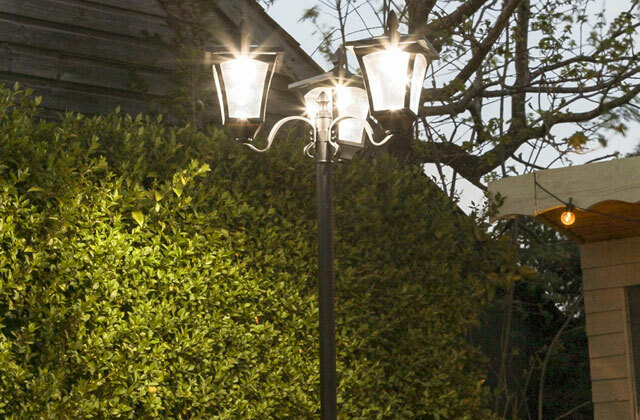 Finally, you could also make an argument that the product can be used simply as a decorative lantern or as an additional security lighting. 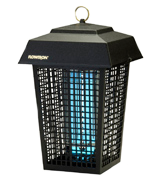 All things considered, the Flowtron BK-40D could definitely be described as the best outdoor bug zapper if for no other reason than the model's durable and rugged housing. 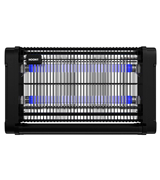 The weather outside won't always be forgiving, but it doesn't concern the zapper from Flowtron as it will be able to handle it all. 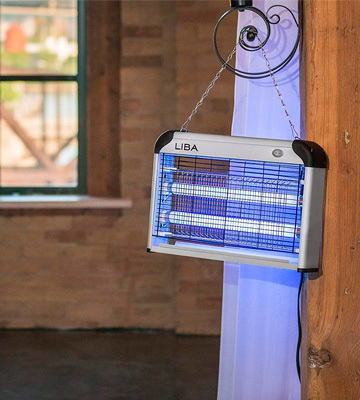 The LiBa 45987 doesn't have that cool lantern-esque appearance. 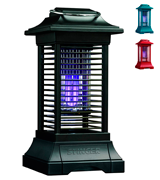 But a bug zapper isn't supposed to look cool, it's supposed to be effective against insects. Plus, a design like that wouldn't make much sense considering that this is an indoor model. Bland profile aside, we don't really have any issues with the product. Sure, the insect container could be a little bigger. As it is right now, you have to empty it a tad more often than one would prefer. The 2800V electrified grid, on the other hand, leaves practically no room for complaints. The thing's so powerful there isn't an insect it won't be able to annihilate on the first try. Though the cage wiring doesn't sound as cool, it is an equally important feature, all things considered. Thanks to the wiring, you can put one of these things in a household with kids and pets without worrying about any potential accidents. The wire chain is neat too. 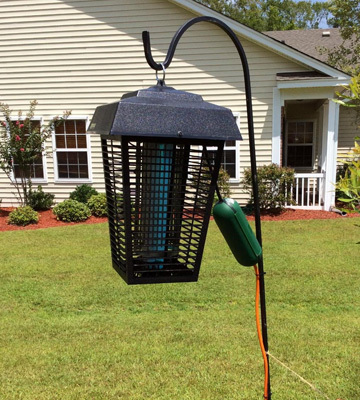 With its help, you'll be able to hang this bug zapper and save a little bit of space. The last little detail that we would like to mention is the 2 UV lightbulbs that come with the package. It's nice not having to buy them separately. Plus, they are easy to replace, provided you follow the straightforward and comprehensive instruction manual. To rephrase our earlier point, the LiBa 45987 doesn't look particularly cool. But this book definitely isn't supposed to be judged by its cover. For the most part, the device is very effective and really practical. What's more, it is completely safe for children and pets. The Hoont H938 is a good example of why people stick with these bug zappers in the first place. 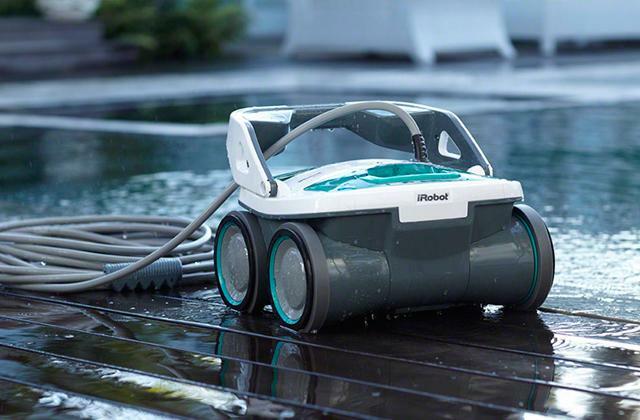 Just like its peers, the model is pesticide-, chemical-, and odor-free. It kills bugs without posing any threat to your health. Plus, a device like that is really easy to maintain. The only complaint that we have is that the lightbulbs are a little difficult to replace but it's hardly rocket science and you should be able to figure it out. 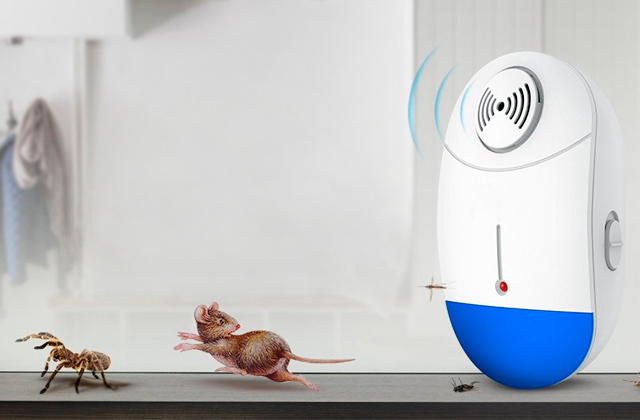 The zapper is advertised as an indoor model. Nevertheless, its effective range caps at 6,500 square feet, meaning that it is just as suitable for commercial and industrial use. You can put this thing at home as well as install it in an office, restaurant, school, hospital, or anything along these lines. The model spreads light in all 4 directions, attracting every insect in the nearby vicinity and immediately executing them. 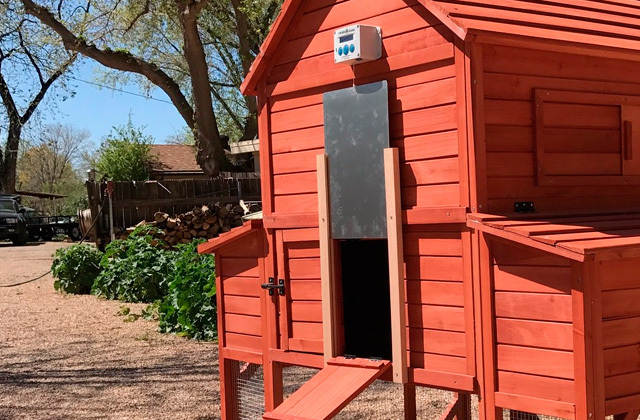 It comes equipped with 2 retractable rings, meaning that you can hang the zapper high-up to keep it out of children and pets' reach. Don't have any? Might as well use it in a free-standing position. The bottom here is completely flat and doesn't skid or wobble on any surface. To put it a little differently, the Hoont H938 is good for you but really not good for flying insects. 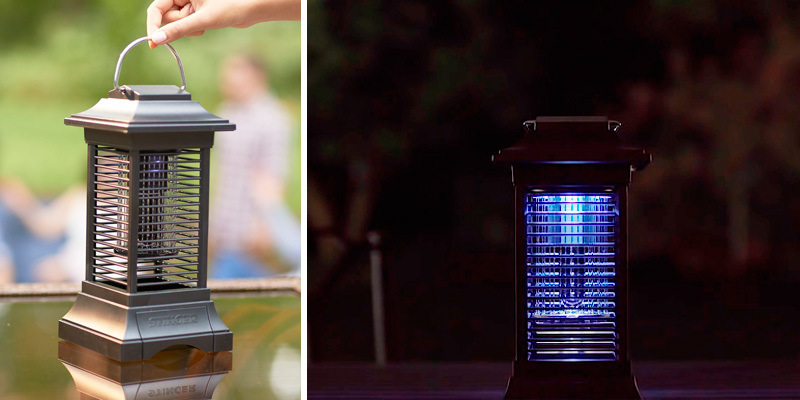 This silent bug zapper will attract and execute them in a moment's notice. You can put it anywhere you want and enjoy a bug-free environment. Normally, mosquitoes and moths are most active at night. 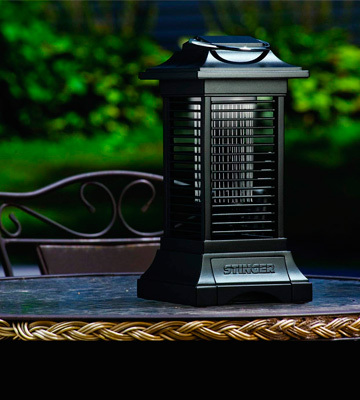 Therefore, if you like to spend time outdoors on a patio alone or with your friends, you should definitely use an electric bug zapper and ensure that your pastime is enjoyable. 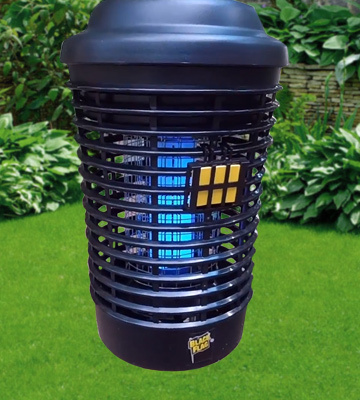 The Black Flag BZ-15 bug zapper has proved its effectiveness in killing flying insects almost in an instant making no harm to people around. The principle of work here involves not only standard UV light but also a special octenol lure attractant coming together with a 30-day cartridge which boosts the effectiveness of UV light by times, attracting more insects in a shorter time. The attractant, though, requires replacing under intensive use, so, maybe, you'd like to stock up on some in advance. 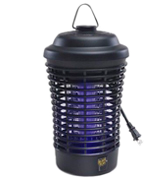 In general, summing up all the said above, the Black Flag BZ-15 bug zapper can be safely recommended for outdoor use to all those who seek an efficient insect control device and strive for comfort no matter what and where. 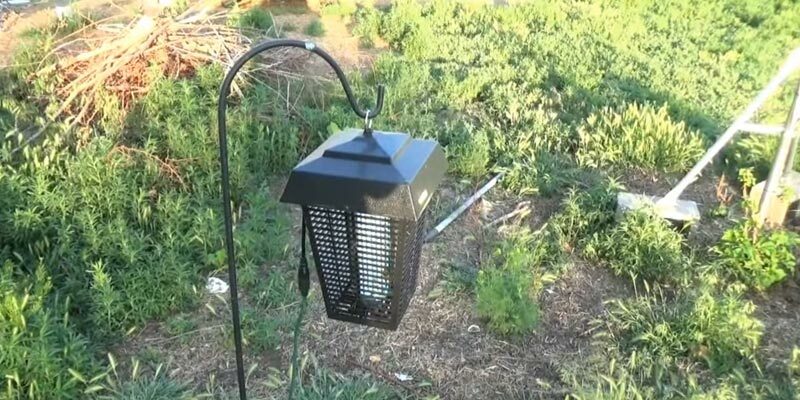 It’s not easy to keep moths away outside even with lights luring the bugs away from you. 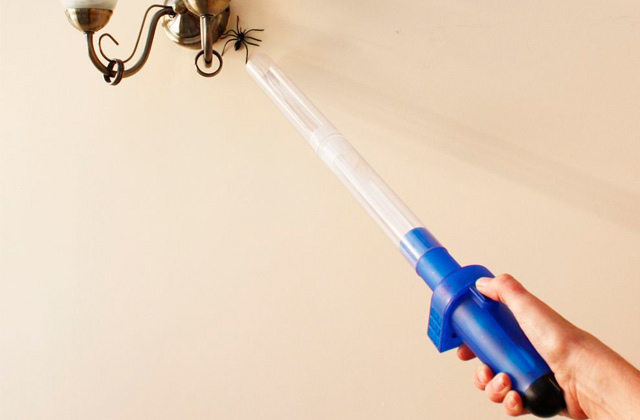 If you really want to get rid of annoying insects, you might just have to take advantage of the Stinger BKC90 zapper. This model has a built-in hook that simplifies its placement. You can mount the zapper on the ceiling or hang it on a tree or a special wall socket. Moreover, the hook is made of rustproof metal and thus won’t be affected by the elements. Leave the zapper outside as long as you want, the device won’t be damaged at all. One thing about the Stinger BKC90 that we did find a bit disappointing is the pretty low coverage area. 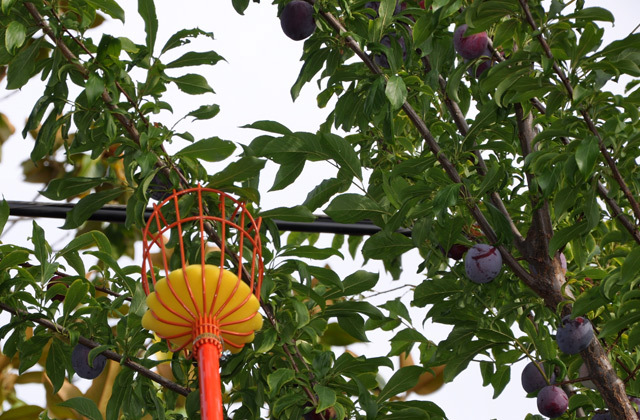 While you don’t necessarily need the zapper to lure bugs from all over the neighborhood, the 0.01-acre radius isn’t that impressive and it depends wholly on the octenol lure, which isn’t used to its full potential as it’s stuffed inside the insect tray. We do, however, love the fact that the Stinger zapper works on a rechargeable battery, which makes it completely wireless. Thanks to that, you can take the Stinger BKC90 with you when you go camping or drive out to a cabin in the woods. One charge is enough for up to 3.5 hours, a whole evening of bug-free relaxation in nature! In the end, the Stinger BKC90 may not be the most powerful among the other zappers but it’s certainly efficient and one of the few models that’ll be useful out in the wild. 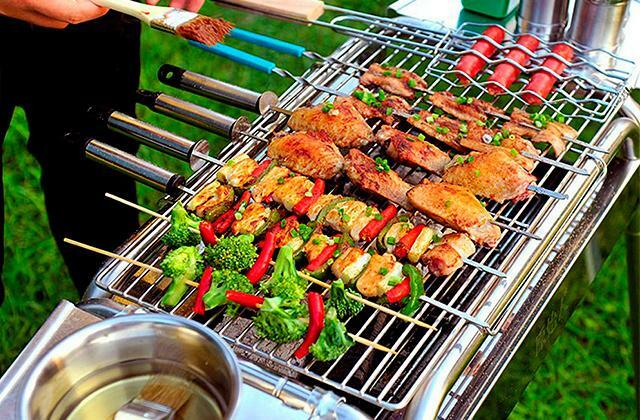 Perfect choice for happy campers! Probably most people used different types of bug repellents. However, such repellents have side effects. 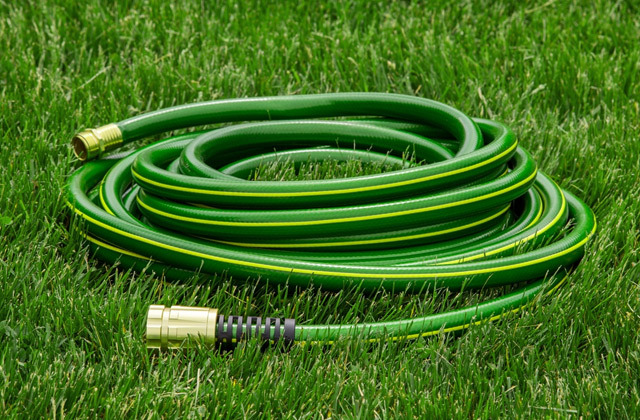 Some of them are toxic that can cause serious health problems while the others give a short-term protection after a single application and need to be used repeatedly. 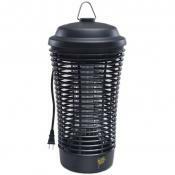 For this very reason, you should take a closer look at electric bug zappers for flying insects. 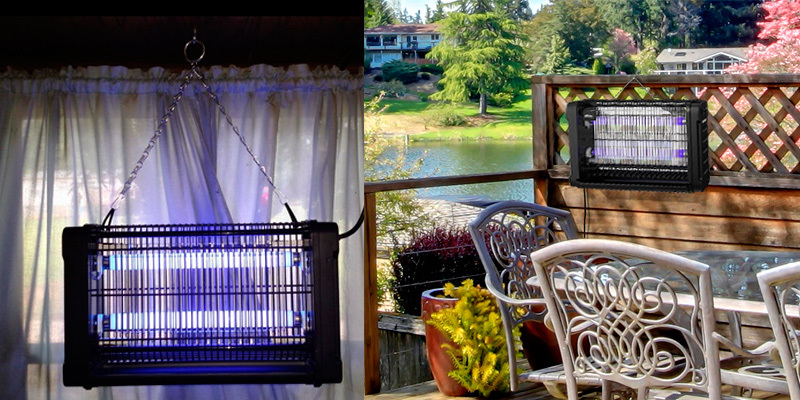 A bug zapper uses UV light, sometimes special pheromones, to attract insects and then kills them with high voltage electric shock. 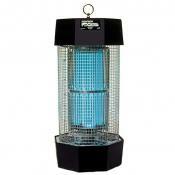 Many modern manufacturers of electric fly killers use special fluorescent light bulbs that emit UV light. 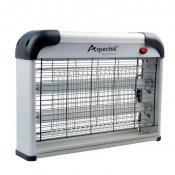 Typically, bug zappers can cover large outdoor areas up to 2 acres. Can't dispose of cockroaches and bed bugs flooding your place? 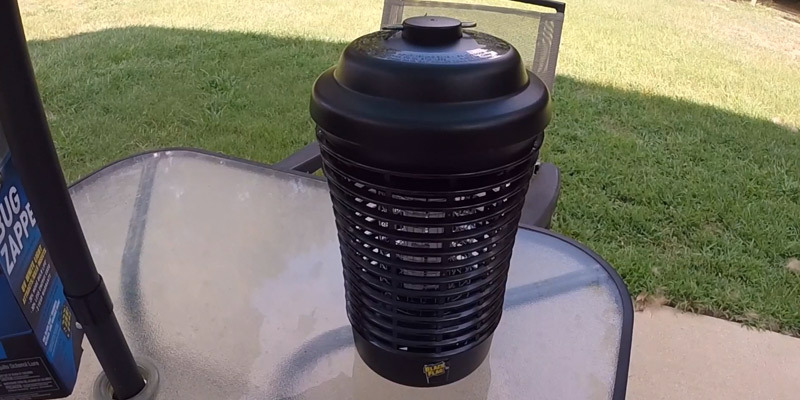 With a bug trap you will be able to fix this problem quickly liquidating all unwanted inhabitants from your flat within mere days while a bug spray may come to help during outings in the open air. 4. 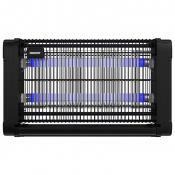 What Insects Does a Bug Zapper Kill? DoItYourself.com.